More roller derby jewellery this week - winged skates flying off everywhere, and these two custom skate number orders. 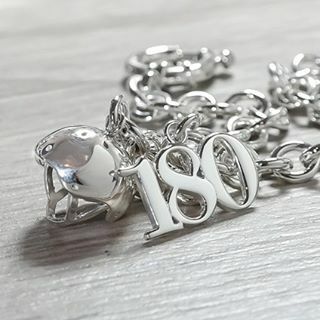 Cute little helmet and skate number charm bracelet. 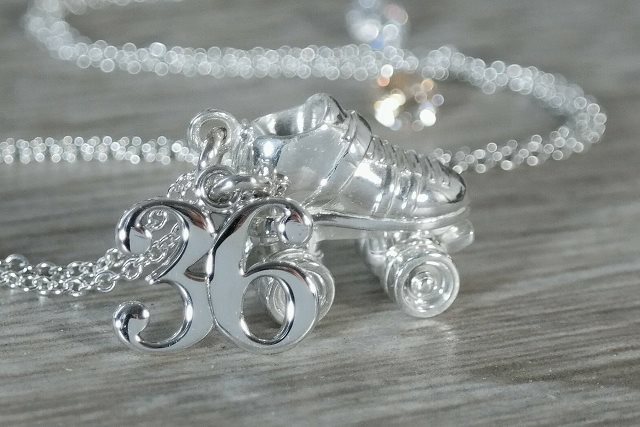 And a skate necklace with 36 skater number. Now it's off to do some photography and start getting ready for the Walthamstow Garden Party on 16th July. Come and visit me in the E17 Designers tent!